Swipe left and right to view photos. 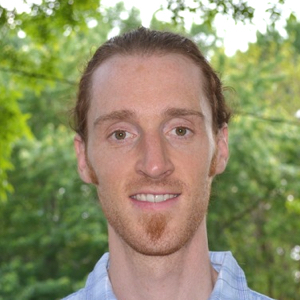 Matthew Sanford is an expert in the process transformation through the healing power of yoga. 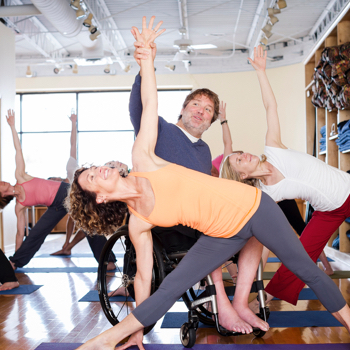 Paralyzed from the chest down at age thirteen and beginning yoga at age twenty-five, Matthew knows firsthand the transformative effect that yoga can have on the mind-body relationship and how it can transform trauma, loss, disability. He is an internationally recognized yoga teacher, a sought-after public speaker. He is the author of the critically acclaimed WAKING: A MEMOIR OF TRAUMA AND TRANSCENDENCE (Rodale: 2006). 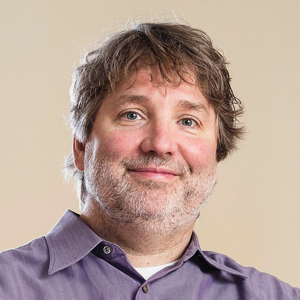 Matthew is a leader in the accessible yoga movement and has also emerged as a leading voice in the integrated health movement. He won the 2010 Pioneer of Integrative Medicine Award from the California Pacific Medical Center’s Institute of Health and Healing. Previous recipients include Dr. Deepok Chopra, Dr. Dean Ornish, and Dr. Mehmet Oz. 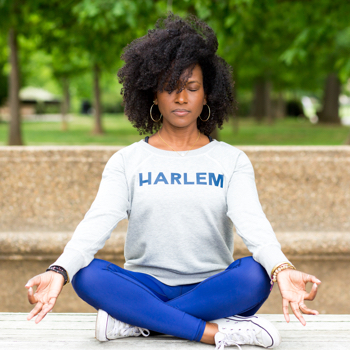 Meet Faith Hunter, DC/NYC based Yoga instructor, global traveler, & Lifestylist, sprinkled with a dash of Louisiana charm. 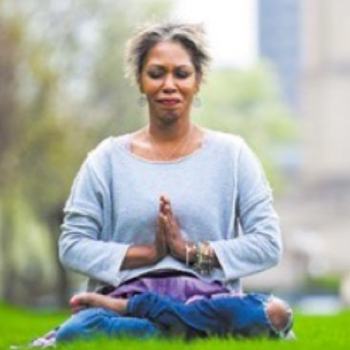 Faith began her life long love affair with yoga in the early 90s as a way to cope as her beloved brother Michael was dying from a complication related to AIDS. Through meditation and mindfulness Faith was able to release her fears and experience an awakening from within. From that day forward, she committed herself to sharing these practices with the world. Always eager to learn, explore, and share, Faith is an inspiring and generous mentor to yoga practitioners of all skill levels. 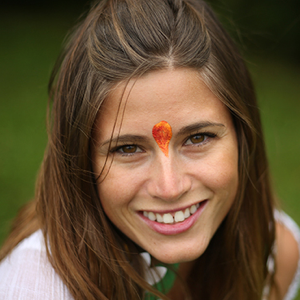 Carly Brown has been teaching Yoga for the past 9 years under the watchful eye of her Guru, Shri Prasad Rangnekar and other esteemed teachers. Her teachings are always student-centred, helping others connect to their own light, wisdom and bliss within. Often playful, but always sincere to the traditional teachings of yoga, Carly has a way of providing a great balance of her knowledge in anatomy, yoga philosophy and life experiences in a way that sparks a light in anyone present. 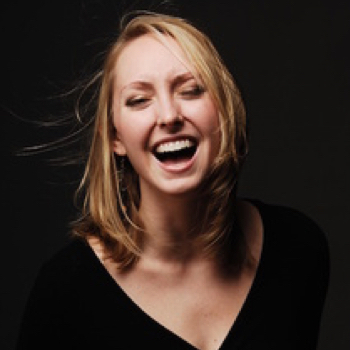 Carly often guest lectures and speaks on various Yoga/Mindfulness topics around Canada. She is the creator of ShineOn! an empowerment program for 7-14 year old girls and her Simplicity Training for Inner Peace program which helps adults realize their true potential. 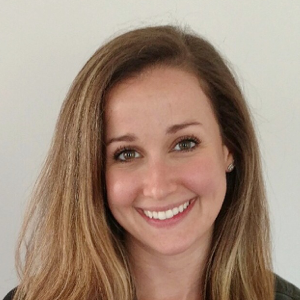 Carly is also a Yoga Therapist, has her degrees in Kinesiology and Education and is an associate teacher of the Yogaprasad Institute 200hr & 500hr yoga teacher trainings. Carly is the recipient of numerous local awards for her community-centred studio Lokah Sangha Yoga in Dryden, ON. 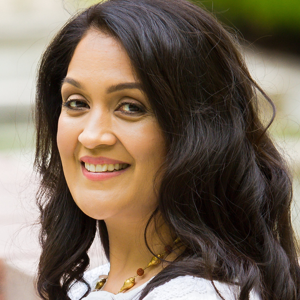 Avanti Kumar-Singh is a physician who, after medical training in emergency medicine, began a journey to find her joy again- and to help people truly heal. Realizing that you can “quit your job but you can’t quit your calling”, Avanti set out to discover what really makes people healthy and what predisposes them to illness. She is now on a mission to evolve the conversation and to create a movement in which medical professionals reclaim the “art” of medicine and become heart-centered, healing catalysts that practice true medicine and support self-healing in their patients. Tanya Boigenzahn is the Founder and Executive Director of Devanadi School of Yoga & Wellness as well as Thai Yoga Bodywork, LLC, empowering people with authentic and time-tested tools and teachings to help reach their highest potential. With 25+ years on the yoga mat and 30+ years on the meditation mat, she is a multi-certified yoga teacher honored to be one of the first ParaYoga® Level III Teachers and Certified Four Desires Trainers in the world recognized by her teacher, Yogarupa Rod Stryker. She also regularly studies with Indu Arora, and completed her Ayurvedic Yoga Therapy program in 2015. Tanya also continues to study Sri Vidya, Ayurveda, and Vedic sciences regularly with Pandit Rajmani Tigunait, James Bailey, and many others. 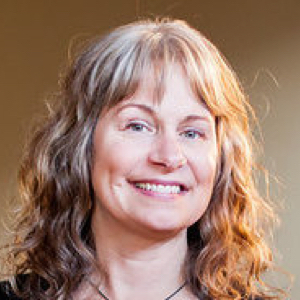 As a Certified Yoga Therapist, Ayurvedic Yoga Specialist, Thai Yoga Bodywork Therapist, Certified Healing Touch Practitioner and Reiki Master/Instructor, Tanya uses this experience to help deepen students’ knowledge of the traditional practices of healing and wholeness. She is also the forthcoming Executive Director and a registered Instructor with Thai Healing Alliance International (THAI), and offers one of the only multi-level certification programs to learn the art of Thai Yoga Bodywork outside of Thailand. 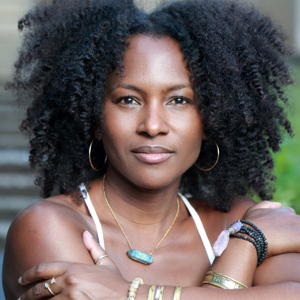 Leo Rising is a 250hr Accredited Yoga Teacher based in Manhattan. As a yoga teacher, Leo found that the physically rehabilitating practices of asana (yoga poses) and pranyama (breath work) open aspects of existence that are connected, grounded, stable and promote clarity upon every action, and the space to exist fully present, while still. Leo Rising accredits his honed abilities to the generous teachers of his life and personal Gurus, that have been with him for his whole journey. 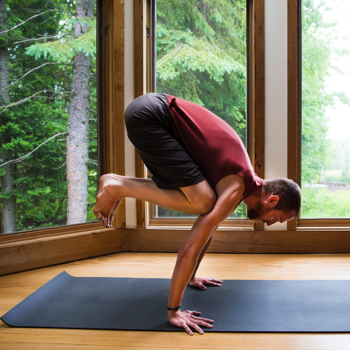 Ben Vincent is a yoga teacher, yoga therapist and life coach based in Minneapolis. His teachings are rooted in Tantra, Classical and Hatha Yoga, of Para Yoga and The Himalayan Tradition. 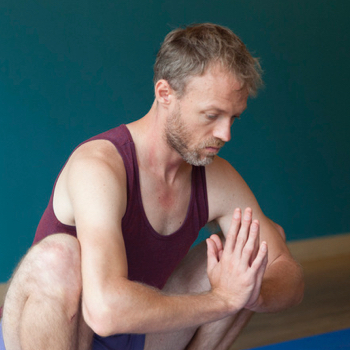 Ben Offers in-depth yoga study, trainings, retreats, immersions, public and private teaching. He aspires to share yoga that is authentic and accessible, supporting students to realize freedom and fulfillment in life. 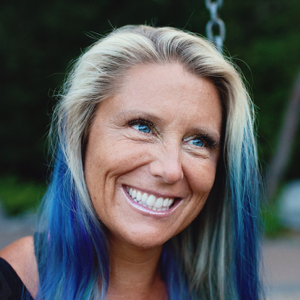 An accomplished speaker, teacher and practitioner, Nikki Myers is an MBA, C-IAYT Yoga Therapist, Somatic Experiencing Parctitioner, Addictions Recovery Specialst, and Certified Health Coach. 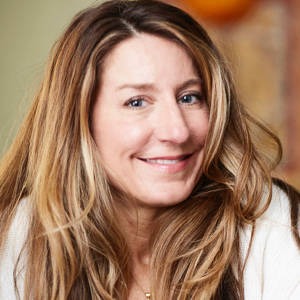 Born from her personal struggle with addiction, Nikki is the founder of Y12SR, The Yoga of 12-Step Recovery. Based in its theme 'the issues live in the tissues', Y12SR is a relapse prevention program that weaes the art & science of yoga with the practical tools of 12-step programs. Y12SR meetings are now available throughout the world and the curriculum is rapidly becoming a feature of addiction recovery treatment centers. Nikki's work has been featured in the New York Times, Black Enterprise, The Huffingtoon Post, Origin Magazine, and CBSnews.com. She is honored to be a co-founder of the annual Yoga, Meditation and Recovery Conferences at Esalen Institiute and Kripalu Center. Nikki was named as a Yoga Journal Game Changer in 2015 and honored as a recipient of the esteemed NUVO Cultural Visionary Award in 2014. 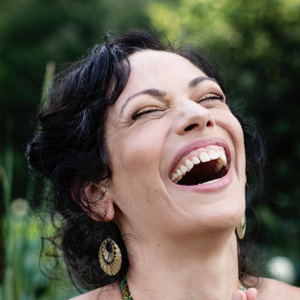 Her personal healing journeys have lead her through study in earth-based spirituality, shamanism, Thai massage, herbal medicine, classical tantra, kundalini yoga, sacred sexuality practices, sexual tantra, Taoism and more. She has extensive training in kundalini and tantra. She is trained as a teacher of Kundalini Yoga as taught by Yogi Bhajan© through the Kundalini Research Institute. She has trained with world renowned teachers since 2003. Nicole currently sees private clients, and leads classes, workshops, online courses, and retreats around the world. Her work has been described simply as “life changing”. She weaves ancient tradition with modern application, reverence with laughter, deep grounding with cosmic expansion. She is a powerful force for activating the innate vitality within. She is passionately, eternally devoted to awakening the sacred within all, to coming fully alive. 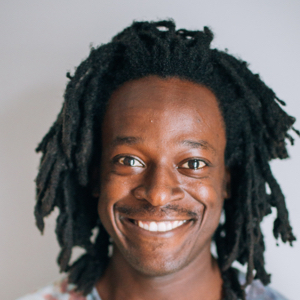 James has been practicing yoga for 7 years, having a foundation in Yoga Nidra, Yin and Restorative styles, which progressed to incorporate asana combined with vinyasa, pranayama, meditation and mantra. He completed his 200 hr RYT yoga teacher training at the Himalayan Institute in Honesdale, PA. Very humbled and honored to be the resident yoga teacher at Tula Yoga Studio in Chicago, the breath is the guiding force to Rhiannon's practice and teaching style. 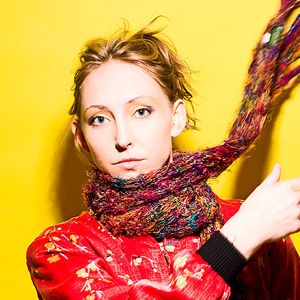 With a BA in Dance Performance and Choreography from Mills College in Oakland, California, Rhiannon has always had a deep understanding and appreciation for the body, exploring, fine tuning and understanding the information it presents in time and space in any given moment. Using inspiration from her self practice, the traditional Ashtanga many series' and her dance background, Rhiannon's workshops/classes offer the opportunity to dive into the intuitive body in order to safely and intellectually, self practice, sequence, become strongly aware of the internal body space, challenge the mind to quiet down and serve the information your body is asking to give you, and to turn your practice and teaching style into a constant ebb and flow of grace. 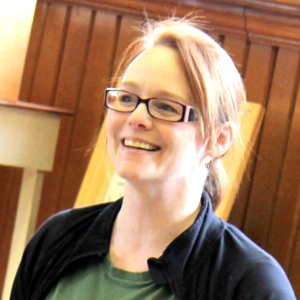 Rhiannon has been practicing yoga for 19 years, teaching for 11 years and has had the pleasure of studying with Larry Schultz, Tom Quinn, Quinn Kearney, Claire Mark, Mark Whitwel, Seane Corne, Tim Suh, Manju Jois and Tim Miller. ERYT500 Certified: It's Yoga San Francisco 200hr, Yogaview Chicago 300hr, Manju Jois Intensive 30hr, many more hours in between, in depth anatomy background and has publicly and privately taught and organized yoga teacher training programs. Alyson Iannicelli completed her Bachelors in English & IT in Boston, MA prior to joining Teach For America, an AmeriCorps program serving under-resourced communities. She worked with AmeriCorps for a total of 5 years before taking her 200-hour yoga teacher training in Spain to help manage stress. Upon completion of her yoga teacher training, Alyson decided she wanted to continue to dedicate her time to helping people, but in a different way, with an emphasis on healing the mind, body and spirit. 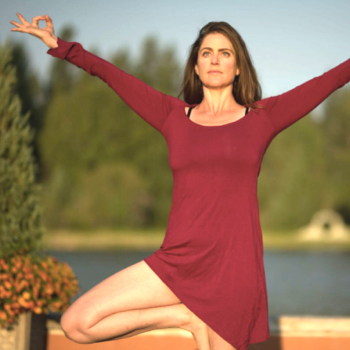 After beginning to teach yoga full-time, Alyson pursued and completed a Masters in Integrative Health and Healing to further propel her skills and knowledge in the health field. Through her masters program, she began to work as an intern for Lauren Walker to help develop the Energy Medicine Yoga School. 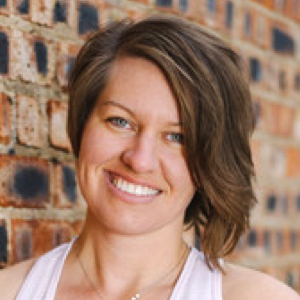 Alyson currently works as the Director of Education of the Energy Medicine Yoga School and teaches yoga to group classes and one-on-one with clients. She is passionate and committed to sharing EMYoga and healing with the world. Dr. Tiffany Denny is a yoga teacher, yoga therapist, and physical therapist with over 13 years of yoga teaching experience, and is the current Executive Director of a body-positive nonprofit, Embody Love Movement. She has a knack for weaving anatomy and movement science into mindful, creative class sequences, and a passion for nerdy anatomy discussions. Tiffany loves to offer practices that facilitate a deeper understanding of physical and energetic anatomy, and the development of a healthy, positive relationship with the body. Calley Bliss is the owner / founder of Entertainment Jill, offering voice over, content creation, and strategy for business. After a dozen years as a jazz and pop vocalist, composer, and educator across the US, UK, and Caribbean, Bliss took her passion for all things “resonance,” and applied them to helping businesses and organizations grow through storytelling (aka content), and content strategy (aka branding). 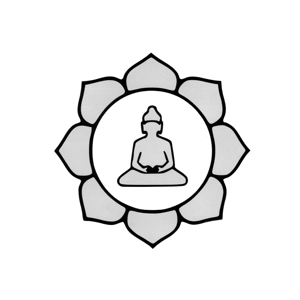 A fifteen-year practitioner of yoga in styles including Anusara, Ashtanga, and Alignment, Bliss also teaches yoga classes, workshops, and individual sessions, guided by a deep connection to the energy / matter relationship and intuitive movement. A junkie of experience, Bliss approaches yoga, music, voice over, writing, and business with the same philosophy: observe structure, adapt to the moment, and follow the light. 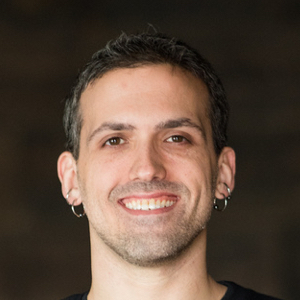 Nathan has more than 10 years teaching experience. His approach is centered in deep listening combined with clarity of intention and awareness. Nathan is also a dedicated Taiji practitioner and teacher and sees Yoga and Taiji as one in the same, for him both are used for internal development and refinement. 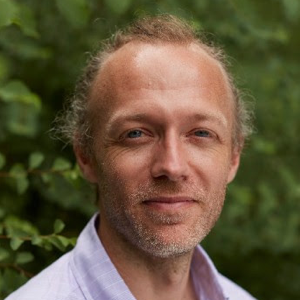 Beyond Yoga and Taiji, Nathan has extensive training and study in kinesiology, anatomy and physiology, Chinese Medicine and bodywork. He is one of the owners of Five Point Holistic Health, a worker owned health cooperative in Chicago. 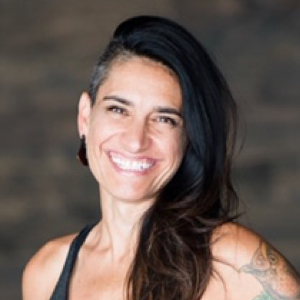 Since her first yoga experience in 2005, via a VHS tape (Google it, kids), to her present-day pursuits as the co-founder of SYNDICATE.YOGA, Mindy Luv has become known for her innovative and progressive delivery of Ashtanga-based vinyasa, Yin-Yoga, yoga sculpt, and kid's yoga programming and classes. 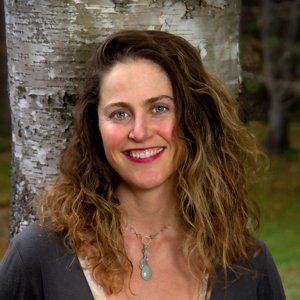 Mollie Silver is an Eden Energy Medicine Advanced Practitioner and Authorized Instructor, EMYOGA Senior Teacher, and Licensed Massage and Bodywork Therapist. Mollie’s passions for travel, adventure and alternative healing have carried her across the globe where she has studied her craft with everyone from a medicine man in Fiji to a Mayan midwife in Guatemala to a Shaman in Bali. 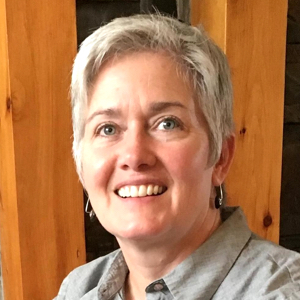 Her diverse and varied background includes a Bachelor’s Degree from the University of North Carolina and volunteering throughout Central America, Australia, Mongolia, and Southeast Asia before eventually landing at Snowshoe Mountain Resort, WV where she’s been teaching Yoga and practicing Massage Therapy and Energy Medicine since 2007. She is thrilled to share this self-empowering modality of healing with you! 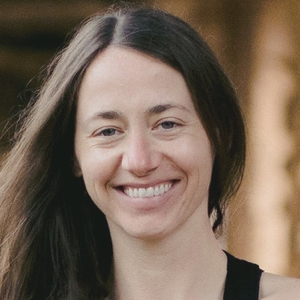 Molly McManus C-IAYT, ERYT500, SE, AHC is co-owner of Yoga North, and holds certifications as a Yoga Therapist, Somatic Educator, Ayurvedic Health Counselor. She enjoys teaching specialized workshops and her work as faculty for the International SomaYoga Institute that is one of only 26 schools in the world that certifies yoga therapists. 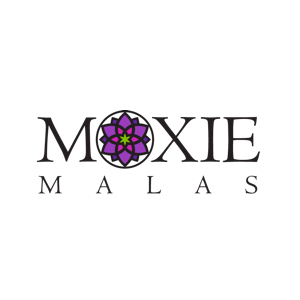 Molly is sought out for her special areas of interest in chronic pain and the diseases of stress in programs she has designed such as SomaYoga for Chronic Pain, Making a Change for Good – 30 Days to Compassionate Self Discipline, The Chemistry of Joy, and Yoga for Stress, Anxiety and Depression. She has not only studied and practiced in these areas extensively she has up close and personal experiences with the incredible efficacy of Yoga Therapy with her own journey through chronic pain, and the diseases of stress. Ann holds certification in Hatha Yoga, Yoga for Cancer Survivors and is an experienced teacher trainer and yoga therapist. She gets great satisfaction in supporting the teachers in training to find their niche, grow their skills and become great yoga teachers and therapists. Ann brings the spirit of adventure and curiosity to her expertise as a yoga instructor and business owner, grounding her ability in the practicality and expertise of the body. 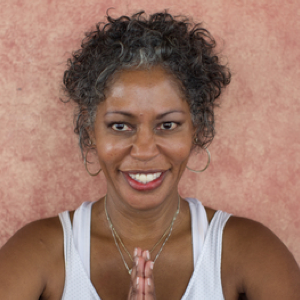 Ann is a model of yogic living for her students and brings a sense of wisdom and fun to the daily practice of yoga. Since leaving behind a decade of addiction in 2008, co-owner and operator of SYNDICATE.YOGA, Nick Bez has been working to share his experience and understanding of the teaching that “yoga is the journey of the self, through the self.” He encourages students to embrace that this journey is sometimes a wild, profanity laden one, while at others it’s shades of gray, and on occasion it’s legitimately unicorns and magical rainbows but that regardless, it’s all an opportunity to breathe with greater presence and intention. Nick has led thousands of practitioners through variations of Ashtanga and Power Vinyasa, and teacher trainings across North America, he co-created Life Time Fitness’ Warrior Sculpt yoga fusion format, and as an ERYT-500 through Yoga Alliance (YA) and a YA Continuing Education Provider has written and created multiple yoga teacher training manuals and programs. 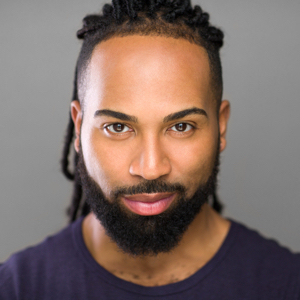 He has also written for Yoga Digest, been featured in Mantra Magazine, and highlighted by Mantra Magazine, Yoga Journal, MN YOGA+life, SF Yoga Magazine, and on StyleCaster.com. And for those of you who appreciate such things, Nick’s training and study includes multiple standard and advanced yoga teacher trainings including the 200 hr. YTT programs at CorePower Yoga in MN, At One Yoga in AZ, The Center for Yoga in MI, and LifePower Yoga in MN, as well as extensive training with Jonny Kest. 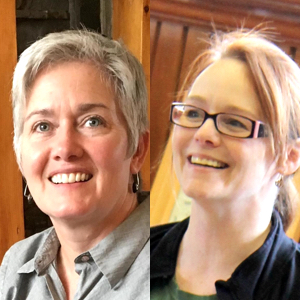 For the 2019 conference we have once again curated a group of world-class presenters, providing countless offerings and hundreds of available workshop hours. 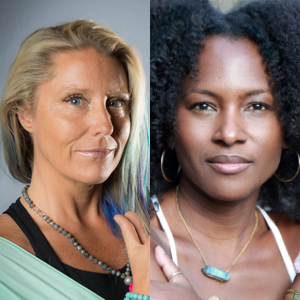 Whether you’ve been practicing for twenty days or twenty years, the 2019 Minneapolis Yoga Conference will have something for you. Thank you 2019 studio partners! Own a yoga studio? Become a Studio Partner today! 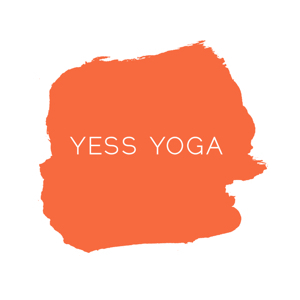 Yess Yoga, located in Minneapolis, has brilliant and diverse yoga classes in a community atmosphere. Our ultimate goal is to help you discover a deeper sense of contentment and inner peace. The common thread, each teacher wants to share movement and mindfulness with everyone who enters the studio. We dare to call most of our yogaclasses “Intuitive Yoga”. We'd like to personally welcome you to our local and woman owned yoga studio, and invite you to any of our classes or events. All are welcome. Hope to practice with you soon. Namaste. 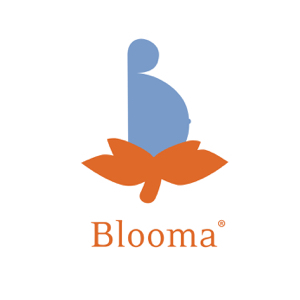 Through yoga, Barre, Massage, Childbirth Education, Wellness and a community of support, Blooma, nurtures the mind, body and the spirit of Mom-to-be, new mamas, and their families. 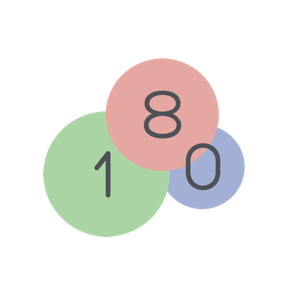 180 balance is about finding the inner depth of who you are, nurturing your body and mind and transforming your future into what you want it to be. Your body and mind will be pushed as much as you need and you will absorb all the goodness of what the studio and instructors have to offer. 180 balance is where you learn to “be” and enjoy the moment and all it has to offer. Awaken Vibrance is a full-service Holistic Health Center and Yoga Studio located in downtown Waseca, MN. 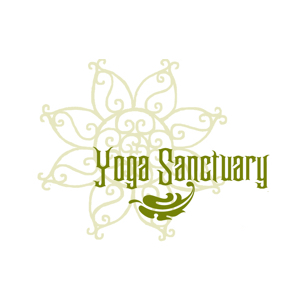 We offer Yoga, Massage, Classes, Holistic Products & Gifts. 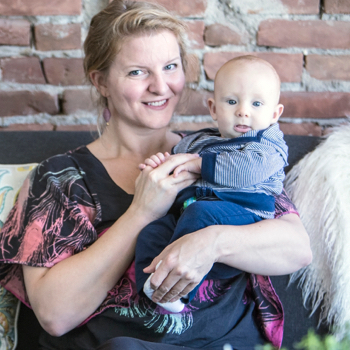 Founded by Tracy Jevning, Awaken Vibrance opened its doors on November 9, 2015. Tracy started the company to follow her passion of helping people with their health and wellness. Her primary goal is to help her clients achieve optimal health so they can look, feel, and BE their best!. We seek to teach safe, fun, relational yoga every day to EVERY BODY through classes, workshops, community outreach and our annual Karma Service + Yoga Trip to Guatemala. Our studio prices align with our intention to increase access, and limit obstacles, to holistic yoga. The practice of yoga tells us that everything we need for peace and wholeness is already inside us, but living and practicing yoga is best done in the context of a supportive community. Together, we will work to ignite the transformative healing power of being fully present in our bodies and in our lives. 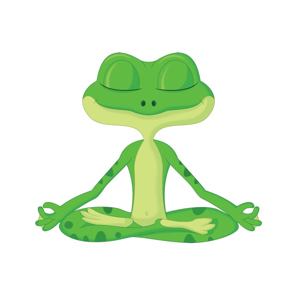 Green Frog Yoga is welcoming community of beginning and experienced yogi’s in Green Bay, Wisconsin. We offer a variety of different yoga styles that are perfect for students of all skill levels and body types. Our offerings include vinyasa flow yoga (hot power and slow flow), core yoga flow, restorative yoga, and Silversneakers FLEX yoga. 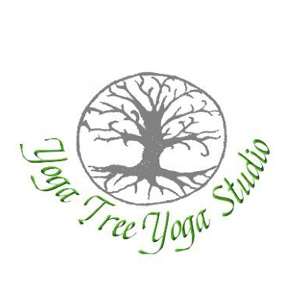 Yoga Tree Yoga Studio was created in 2012, in the rural, NW town of Roseau, Minnesota. Since Yoga Tree first opened, we have offered a sacred space that is non-competitive, non-judgmental and guided by warm and loving hearts. Yoga is a mind-body-spirit practice, which shows us our divine path to our authentic -self. A regular Yoga practice offers a peaceful mind, a feeling of balance inside and out, and the release of stress. Yoga Tree believes in working not only with our selves, but with our community to improve lives, and our planet. Yoga Tree is committed in striving to support each other in our personal growth through our yogic transformation and journey. We believe that yoga is for everyone, that it transforms everyone, and that yoga is for you. Yoga Tree is a community of committed teachers who understand, from deep personal experience, the benefits and energy that Yoga brings. 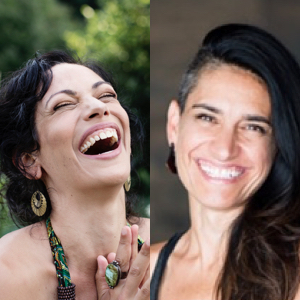 Our teachers, Desi Klimesh, Catherine Stenzel, Erika Peterson and Nora Heilman, bring their insight, dedication, years of practice and training, as well as openness, creativity and caring hearts to each and every class, creating an environment filled with learning, compassion, challenges, and fun. At The Yoga Branch we share traditional yoga values with the heart of yoga being minimally as important as the poses themselves. The focus of the studio is on sharing yoga with the community, and guiding them to a better place, physically & mentally. There are workshops held by various teachers, as well as different levels of yoga classes through the week. There is a Spring Equinox/Yoga mala held each year in March, where we welcome in the Spring with 108 Sun Salutations, the energy is amazing, and all profits from this event are donated locally. 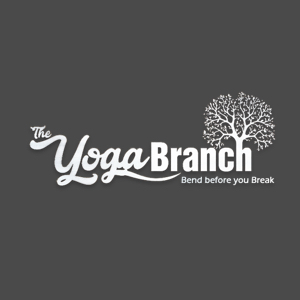 The Yoga Branch also holds donation based classes, where the funds are put into scholarships to accommodate those in the community who need and want yoga but can not afford it. 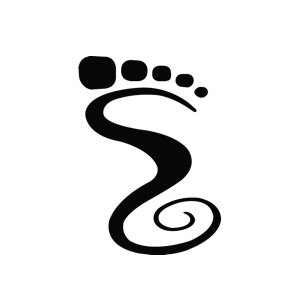 Open Sole Yoga is located in Litchfield, in central MN. 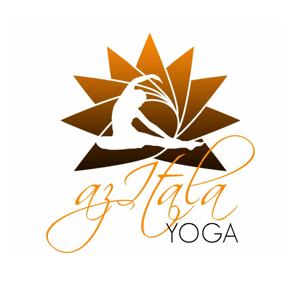 We offer a variety of class from Hatha to Ashtanga to Men's to Prenatal Yoga. All of our instructors are Registered Yoga Teachers with a passion for bringing yoga to all. 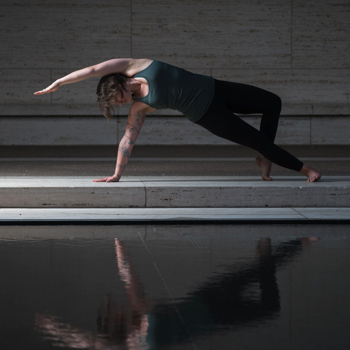 Located in the Logan Square neighborhood of Chicago, we are a Vinyasa-based studio that truly believes that yoga, like most things in life, is all about Balance. Our approach to yoga is a harmony of traditional principles & philosophy combined with modern practicalities & accessibility. We aim to create classes that are a healthy mix of playfulness and exploration, while maintaining mindfulness and respect for the origins and traditions of yoga and attention to the anatomy and alignment of the body. We believe that through this balance, yoga can help one to develop greater self-awareness, physical strength and flexibility, resulting in an overall sense of well-being and inner peace. We want to empower our students to find their own path through yoga, to create their own unique balance, both while on the mat at TULA and off the mat into this wild world. Hot yoga in Elk River, Every BODY, is welcome. 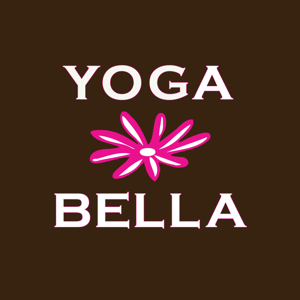 Located in the southwest metro area, Yoga Bella is open 7 days a week offering quality yoga instruction. 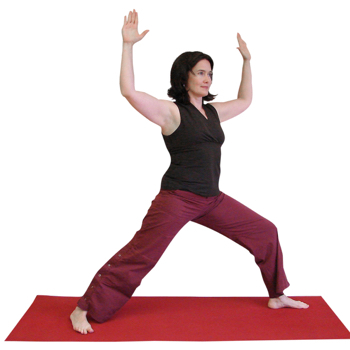 All classes are variations of 3 basic styles: Gentle, Hatha and Vinyasa yoga. Beginners to experienced yogis find their home at Yoga Bella, as well connection to our friendly yoga community. All are welcome. Rise Yoga is located in the heart of NE Minneapolis’ Arts District. Our beautiful and spacious studio is located in the Northrup King building, home to artists, creators, and makers of all kinds. We offer a variety of yoga classes and have the skill and love to back up our pride in supporting a wide range of practitioners, from folks brand new to yoga to those with a well-seasoned yoga mat. 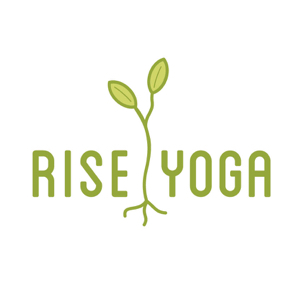 Come join us for class and meet the welcoming folks who call Rise their yoga home. Own a yoga studio? Partner with the Minneapolis Yoga Conference to receive a pass to the conference, your logo on our website, a mention on our social media profiles and the option to purchase our "studio ten-packs". We partner with companies and organizations to enhance the experience of conference-goers, while also providing valuable name, brand and company exposure for our sponsors. Check out our 2019 Sponsors below! 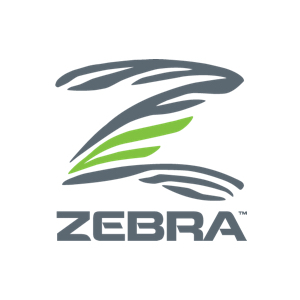 Zebra is a Minnesota based company that provides flooring, studio equipment, financing and more for yoga studios to help them open and grow their businesses. At the conference, Zebra brings over 8,000 Sq. Ft. of flooring (!) allowing participants to have a studio like experience. At the conference NWHSU sponsors our props area, allowing the conference to offer blankets, blocks, mats and straps to conference participants. 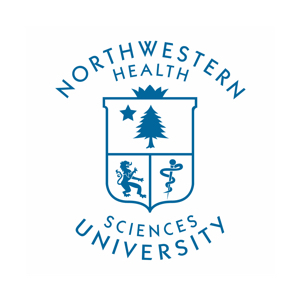 Northwestern Health Sciences University (NWHSU) prepares the next generation of healthcare professionals to deliver and advance health care. We offer programs in acupuncture and Chinese medicine, massage therapy, nutrition and chiropractic education. Proudly cultivating a culture of collaboration, respect and service, NWHSU strives to create a healthier world. Live, learn, serve healthy! 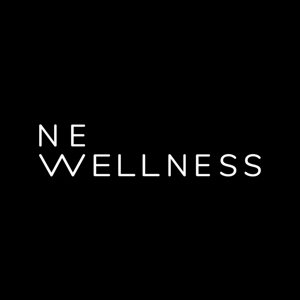 NE Wellness provides acupuncture sessions free of charge to conference participants! Big Breath in, NE Wellness is calling you to be your best self. A community acupuncture & wellness center in NE Mpls offering affordable and accessible healthcare to all. 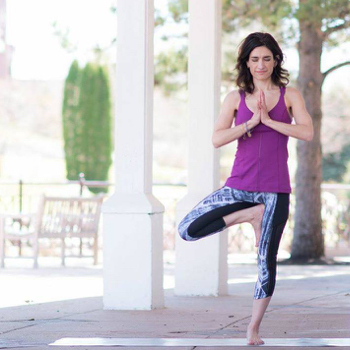 Tula Yoga & Wellness and Yoga North have joined together in a collaboration to bring private, one on one yoga sessions to conference-goers. Experience first-hand the benefits of private yoga instruction, learn how it's different than both group classes and a self practice, by take the opportunity to work one on one with an instructor with sessions available all day Saturday and Sunday. 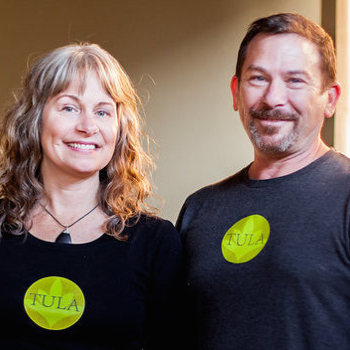 Tula Yoga and Wellness is a donation-based studio located in St. Paul. We offer yoga and movement classes, transformational workshops, professional teacher trainings, yoga therapy sessions, bodywork, and energy work. 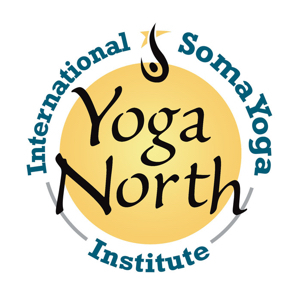 We host the Yoga North International SomaYoga Institute's 200 hr, 500 hr teacher trainings and SomaYoga Intensives. With two studio spaces and several skilled teachers, we have something for everyone. All are welcome! 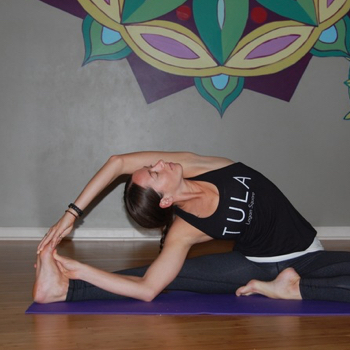 Yoga North and Tula Yoga & Wellness have joined together in a collaboration to bring private, one on one yoga sessions to conference-goers. Experience first-hand the benefits of private yoga instruction, learn how it's different than both group classes and a self practice, by take the opportunity to work one on one with an instructor with sessions available all day Saturday and Sunday. 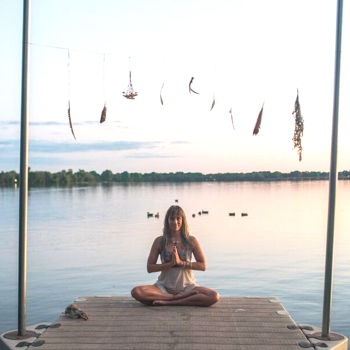 Yoga North International SomaYoga Institute (ISYI) with home sites in Duluth & St Paul, Minnesota is known for our Yoga Teacher Training and Yoga Therapy Certification. 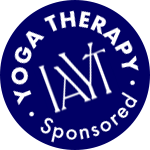 We are honored to be to be one of only 35 schools worldwide to hold accreditation from the International Association of Yoga Therapist (IAYT) for our Yoga Therapy Program. 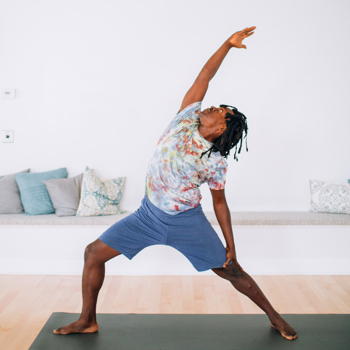 In our workshops, intensives, and trainings we use a progressive approach, blending SomaYoga and therapeutic yoga, bridging these techniques back to classic Hatha postures. Our curriculum is also steeped in yogic philosophy, including the 8 limbs of yoga and sacred text, as well as Yoga's sister science of Ayurveda. 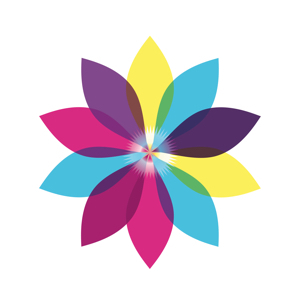 Tula Software produces, designs and directs the Minneapolis Yoga Conference. 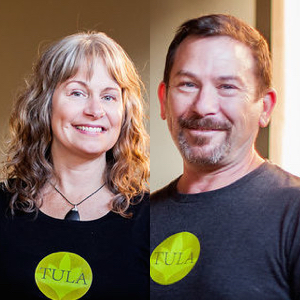 A complete software system designed to help independent yoga studios succeed, Tula Software promotes itself by investing in the community we serve by producing this conference, and sponsoring others, in lieu of buying ads on Facebook, Google, Twitter and Instagram. Know someone that owns a yoga studio? 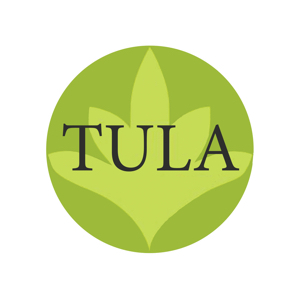 Be sure to tell them about Tula Software! Do you have a product or service you want to promote, that can also enhance the experience of our conference-goers? Get in touch with us to talk about custom sponsorship options! We partner with companies whose products and services are congruent with the experience we create for conference-goers, and we're thrilled to introduce our 2019 Vendors! If you're interested in being a vendor at the 2019 conference, please get in touch! Roots to stars creates custom one of a kind mala prayer beads in relationship to your chakras. Each are made with 108 gemstones, hand-tied, and charged with mantra and reiki. Free Chakra readings available at the booth. 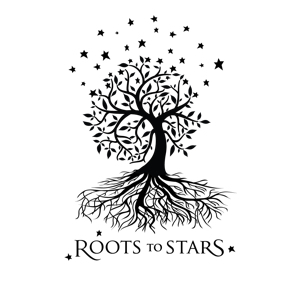 Misha, owner of roots to stars is a reiki master/teacher, intuitive and life coach in Minnesota. Browse our products and support your journey on the path of Yoga and Ayurveda. For your body, mind and soul - Exclusively formulated and designed by Indu Arora. 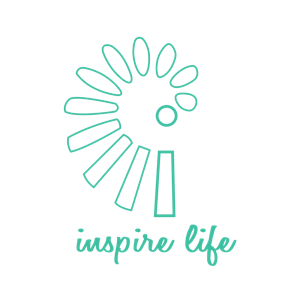 At Inspire Life, we stand for a world where you health is inspired by CHOICE. We help adults, families, and kiddos in our community get to the root cause of their health challenges rather than masking the effects. With our advanced, gentle, brain-based approach to care, we help people access more peace and freedom in their bodymind, and in turn LIFE. 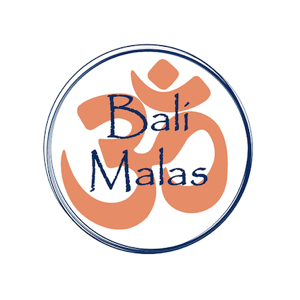 Bali Malas was founded in 2006, and is proud to have been the first company to bring awareness of these sacred seeds to the West. Many have since followed suit, but few can attain the same quality of beads and care in production as Bali Malas. All of our designs incorporate the use of authentic sacred seeds that are grown and harvested by the families that have tended to the rudraksha trees for centuries. In breaking with tradition they have given our founder in Bali, the only western woman ever, their blessing to create from their labors. We offer pristine, sustainably harvested, sacred and rare rudraksha seeds to seekers in the West who might not otherwise have exposure to the profound, healing qualities of this auspicious seed. ZYIA Active is an active wear lifestyle brand. It is also a culture that believes in embracing activity with excitement, vigor and delight. We feel that pushing your body and mind is easier and more fun with friends and family. 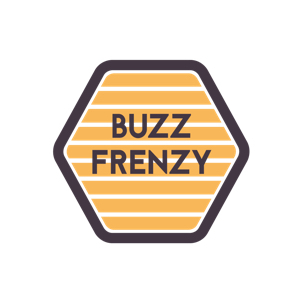 Buzz Frenzy allows businesses to easily and economically tap into world-class, high-octane digital marketing. Businesses reach customers right where they are, tapping the effectiveness and deep connections possible via social media. For a set monthly budget a business posts to Facebook like normal and Buzz Frenzy automates the rest. Shangri-La Crafts and Gifts brings you genuine Tibetan singing bowls made by small artisan families in Himalayan region of Nepal. All our bowls are carefully selected by our experts in Kathmandu, Nepal. Tibetan singing bowls are so much more than just musical instruments, they are for centuries used in meditation, deep relaxation, mindfulness and for various other purposes. They have been scientifically proven to put our brains into more restful states. In fact, Tibetan singing bowls are one of the best meditation tools. Peacefully Untamed. Crystal healing and aromatherapy jewelry created as a wearable affirmation of the energy within. Each piece is hand made in Minnesota with genuine stones and crystals and has its own meaning and intention. 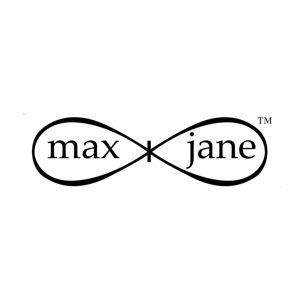 MaxandJane produce beautiful botanical Skincare from their farm in the Jemez Mountains of New Mexico. Our formulas are truly pure, exquisite in their performance, and have the most wonderful yet subtle aromatherapy. We will be sampling, selling, and have a special discount for conference attendees. Please stop by. Whether you are looking to start a yoga practice, train to share the teachings of yoga, make changes in your life or simply get quiet and relax – we have the classes, programs and events for you. 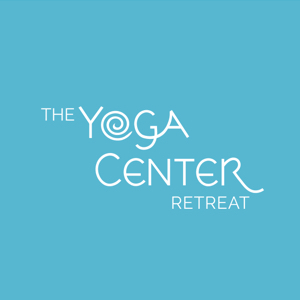 The Yoga Center Retreat specializes in traditional yoga and offers the most comprehensive Yoga Alliance Registered 230/300 Yoga Training Programs in the Twin Cities based on curriculum carefully developed over 20 years and taught by a rich variety of highly respected and trained faculty. 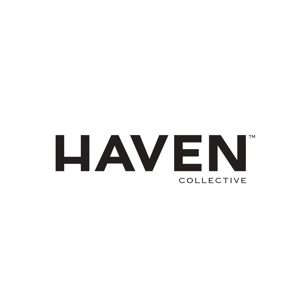 A modern favorite in the Yoga wear world - HAVEN was founded by Yoga Instructor and former David Yurman Creative Director Tracy Squillante. Designed, Created and Sewn in America with eco conscious fabrics. Big Raven Yoga Mats was founded with the goal of merging the two great loves of founder, Joleen Emery: yoga and art. It took two years of iterative development and countless failed prototypes, but Big Raven Yoga has successfully built a product for yogis by yogis that doesn’t sacrifice quality of the mat or the functional artwork it displays. All of Big Raven’s unique artwork is created in-house by women with a feminist point of view. The six core collections of mats range from vintage and retro to floral and feminine to passionate and powerful. Each mat is made from a luxurious microfiber suede that feels blanket-soft and prevents slippage during practice. 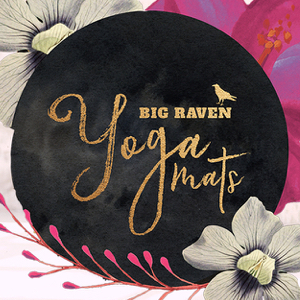 Big Raven Yoga Mats offers beautifully designed yoga mats that allow each yogi to express themselves through the foundation of their practice: their mat. Big Raven Yoga Mats are the perfect blend of art and engineering, with a grippy microfiber surface bonded to a 100% biodegradable natural tree rubber base. All mats are machine washable in front-loading washing machines. It’s your yoga towel, your yoga mat, and your inspiration. We provide group energy healing sessions to heal cultural issues like: Releasing Trauma from Prejudice & Discrimination; Slavery; the Holocaust; Race Supremacy; War Trauma; Poverty Consciousness & Homelessness. Energy Healing is a way to release the traumas and negative beliefs held in the body and subconscious mind whether the cause is from your own past history or inherited from ancestors. We raise funds to provide these group healing events by selling our Peace Candle- 100% soy wax, cotton wick with nine words of Peace on the glass container in either a Rose (representing Divine Feminine) or Silver (representing Divine Masculine) print color. 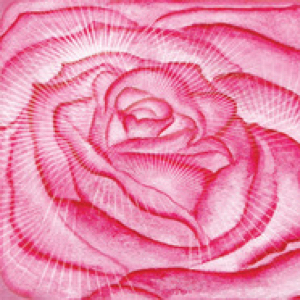 Sacred numbers were used in the word design and they are infused with Reiki energy. They are wrapped in tissue and in a gift box. Purchase individually or by the case- $15 each (it’s a tax-deductible donation). Registration Opened: Welcome to the 2019 MYC! Within the chaos of daily life, we often forget the power of human connection. Through a heart-opening blend of experiences, Faith Hunter will encourage you to breathe, listen and trust. The intention of the opening ceremony is to shed superficial layers, and align to your highest self through connecting. Be prepared to move, laugh and feel the bliss of community infused with LOVE! Asana is accessible to every one, but physical bodies and their abilities vary greatly. The good news is that the experience of the subtle body is universal. The issue is one of access: does the yoga teacher know how to help students gain access to the subtle body in ways that are relevant to the performance of asana. This knowledge begins with the teachers’ awareness of the subtle body in their own practices. This intensive explores ways for yoga practitioners to enhance their own experience of the subtle body. Special attention is given to insights that do not solely emphasize breath, such as alignment, precision, the role of gravity, an inward sense of direction, and realizing the ‘space’ between the muscles and the bone. Throughout the day, participants explore the seemingly paradoxical meaning of the ancient yogic adage: prana follows consciousness more than it follows breath. The goal of this workshop is help create the foundation for how the experience of the subtle body makes asana accessible to everybody while also deepening each participants personal practice. Lecture, discussion, and asana. Some asana experience is recommended. Please bring a yoga mat, a blanket, a block and a belt. How do you create what you want in your life? Do you really know what you really want? Finally learn the Secret behind the Secret. In this 4-hour workshop and practice you will dive deep to learn how to energetically empower your desires. You’ll learn a physical practice to help strengthen your ‘manifestation muscles’, and you’ll end the practice with a short yoga nidra, or guided meditation, to further help plant the seed of your desire into your subconscious. This experience will leave you exhilarated and focused, bringing you into a state of fluid co-creating power. (This intensive is part of the Yoga Therapy Track.) As per the ancient Tantric tradition and Vedas - The Sanskrit word Rasa means “the essence of emotion” and ultimately “bliss”. The practice of developing emotional stability and equilibrium is called Rasa Sadhana. It offers us an alternative healing path and can be combined with any lineage, culture or tradition. We shall explore the 9 emotions of peace, fear, anger, sadness, disgust, love, joy, wonder and courage one by one focusing practices to strengthen the agreeable ones and learning healing practices for the less desirable ones through meditation, discussions, practice of asanas, pranayama, mantras, mudras, kriyas and much more. Let us immerse in this journey as pursuit of lasting happiness and everlasting peace. This workshop is a combination of discussions and practice. Contents: Emotions, elements, internal organs and taste. What is Rasa Sadhana. 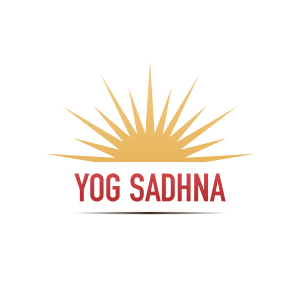 How to combine Rasa Sadhana in every day life and Yoga. This workshop has been designed to help the new to seasoned, yoga teacher or yoga professional sequence for their private or public classes. Learn how to fine tune class sequencing, re-inspire class sequencing, create smart, anatomically sound, thoughtful, focused plans for your students. In this workshop we will create mini sequences that can help support you, the teacher, in very specific in the moment situations. We will workshop through single class plans, peak pose inspired classes, the benefit of sequencing in 2 week increments to see real growth in your student(s) and the dissection of class arch's to make sure you are utilizing your class time in an efficient and influential way. Please bring a notebook and be prepared to move. Learn what Energy Medicine Yoga (EMYoga) is, how it works, why it works and how you can include it into your daily practice to transform your life. These simple EMYoga practices will help you strengthen your immune system, increase your intuition, increase your energy levels, your healing ability, your contentment and joy. This practice is simple, transformational and fits in with any style of yoga you already use. Be prepared to change your ideas of yoga and healing! LeoRising is an auric field amplifier, cosmic diviner & mystic yoga teacher who specializes in the gift of Presence. He will teach you a 4 part harmony sadhana to get your body energized, breath embodied, intentions actualized, and overall posture attuned to the true force of your authentic voice, spirit, and mind so that you can lead a day fully lived aware of syncronciities fulheartedly sought & found. Some sadhanas are basic, so are absolute MAGICK! (This workshop is part of the Yoga Therapy Track.) The modern definition of diet has become limited to vegan, raw, organic, vegetarian, non-vegetarian, paleo, keto, macrobiotic, gluten free etc. What is the understanding of food in Ayurveda and what did Yogis eat? Are they are the same thing or is there a significant difference between what Yoga understands as food and what Ayurveda understands as nutrition for the sake of a healthy body and healthy mind. Does the food really need to be isolated and seen from a micro lens? Can it be simplistic yet healthy? Do we have to cook food as per every person’s Dosha at home? Let us discuss the role and principles of food as therapy in Yoga and Ayurveda. Bring in your appetite! Faith Hunter and Kristi Taylor join together and invite you to nestle in for a 4.5 hour intensive for women. Along the inner journey you will taste sweetness of chocolate, inhale the delicateness of essential oils, absorb sound vibrations through healing music, affirm your intentions through mantra, feel the power of radiant energy through mudras and touch. Together we will explore the depths of your senses through sound healing, breath, meditation, mudras, mantra, journaling, movement and partner work. By creating deep human connection you will magnify your connection to self. Please bring your yoga mat, journal, pen and an open heart. All levels are welcome. Touch is both a fundamental and a complex way that we interact with the world and share energy with each other. In yoga practice it can be used as a way to build intelligence or to be present with someone, but more often than not the motivations are mixed. In this workshop we will discuss ethics and look at the questions of “Why am I touching this person / giving an adjustment? Where am I in this moment emotionally / physically inside myself? What am I trying to do?” Then, to explore and learn more, we will focus on techniques for improving CONNECTION. First and foremost, connection within ourselves, then with other people. We will use a variety of personal and partner exercises to work with connecting, deep listening, responsiveness, self-responsibility and intention. The practices we work on are can become tools for self-refinement in all aspects of your daily living. Experience the benefits and receive individualized attention with a private one on one yoga session! Sponsored and lead by Yoga North and Tula Yoga & Wellness, these sessions will allow you to practice and focus on exactly what you need. Resonance - in a literal sense - is the act of vibratory motion within a physical encasement. In our culture, we commonly talk about resonance as an intuitive sense of alignment: What resonates with you? On a sensory and spiritual level we use our intuitive sense of resonance for decision-making. On an intellectual level we understand that sound frequencies carry a vibration, which travels through space and is affected by physical surroundings (acoustics), creating varying effects on auditory resonance. Listening to music and tonal frequencies, singing, and playing instruments can catalyze physiological responses which have an effect on our emotional, mental, as well as physical selves. In this workshop, we will explore the crossover of sound, body, and breath as observers and participants. Pulling concepts from western sound science, music, and yoga philosophy, please come ready to listen deeply, and play with experiential practice using the chamber of the body as a vessel for resonant sound, and intuitive movement. We will connect the dots between the spirit of vibration, and the importance of vessel to create powerful, audible resonance. Unprocessed emotions are believed to be the #1 cause of dis-ease in the body. Our emotions rapidly change moment to moment and in a fast-paced life, your emotional well-being can often be ignored or put on hold. There’s never an “easy” time to process suppressed emotions, but with EMYoga, it can feel easy. In this session, learn how to find your emotional center through the ebbs and flows of your daily life with a simple EMYoga routine that you can do on, or off, your mat. Discover your primary element, according to the Five Element energy system, and how to work with this system through EMYoga to help release and reset stuck emotions to create harmony within. (This workshop is part of the Yoga Therapy Track.) Join Tanya in this experiential, engaging mini-breakdown of the psoas muscle from a Yoga Therapy perspective. Learn ways it fails to function properly in backhanding and forward bending, as well as how it interacts with other muscles like the adductors, transverse abdominals, diaphragm, and pelvic floor for our base of stability. Learn how the psoas is used in certain asanas and other yogic practices to support both stability as well as flexibility, and is used as a bridge between the ground and the rest of the body. We’ll lean into the art of how to really “see” students to help take your practice and teaching to a new level of intuitive awareness. Students will explore cueing suggestions and hands-on adjustments to help promote consciousness and awareness in your students’ bodies to honor the psoas. The more yogic tools at your disposal, the more flexibility you'll have in adapting to the unique circumstances and predilections of each of your students. 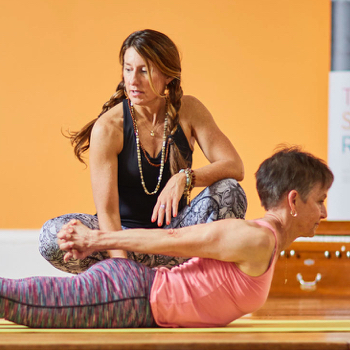 This is an interactive workshop, and is for yoga teachers and yoga therapists who seek more wisdom in the classroom and/or in private sessions, especially in relation to understanding the psoas. Come prepared for discussion, asana lab, and practice teaching to apply what you are learning. Learn simple techniques from SomaYoga Methodology to help serve your students in private sessions. Learn the use of several therapeutic props to reduce student's pain and discomfort and enhance your students proproception, interoception and wellbeing. Kundalini is the primal, raw evolutionary force. It is rising in the world, in the earth, and in our bodies. As this force rises, it transforms everything it touches. It heals. It reveals. 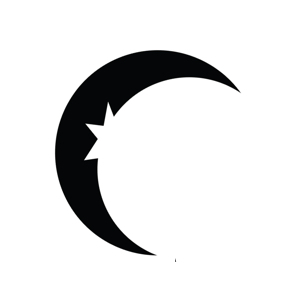 It purifies, clarifies and enlivens. Its ultimate purpose is evolution, awakening and union with all that is. This largely untapped internal resource is being called forth in all of us at this time in our world. The kundalini is a powerful force that when awakened, can amplify our healing, transformation, creativity and so much more. The yogis describe the kundalini as a dormant or semi-dormant energy resting at the base of the spine. It contains your potential, the seeds of your fullest life and truest self. It is a great primal power that can fuel your spiritual growth, your work, your health, and all aspects of your life. In this class, we’ll dive into practices to awaken the kundalini force within our own bodies in a safe and gentle way. Using the technology of Kundalini yoga, meditation, mantra, and more, we cultivate a balanced nervous system and glandular system. This allows for an activation and movement of the kundalini energy through the body that is integrated and complete. The creative pulse of life that moves through all things, moves also through you. Let it rise through the spine, lighting the rainbow as it goes, crowning you as one with all that is. (This workshop is part of the Yoga Therapy Track.) While the biomedical model is excellent for acute, crisis-based intervention, it is less effective for chronic conditions and disease prevention. Through a lens of “yoga as medicine”, using the models of yoga therapy and Ayurveda integrated with the biomedical model is a powerful approach to help people heal and for prevention of disease. In this compelling and interactive workshop, Dr. Avanti Kumar-Singh draws upon her 20+ years of experience in Western medicine and traditional healing systems to discuss how to effectively use the models and tools of yoga and Ayurveda in therapeutic assessment. Combining patient case-studies with research, she provides a framework for yoga teachers and therapists who want to expand their knowledge to improve the health of their students and clients. Change is the nature of the world we live in, yet it is the nature of humans to seek that which last. All too often, we allow our inner state to be determined by change in the world around us- the season, politics, other people, etc. To find lasting peace, yogis know that cultivating a calm steady mind. Through lecture and practice, this workshop will explore experientially the yogic understanding of the mind, and how to practice and live in a way that brings peace. Please bring any props you like for seated meditation, a bolster, blankets, meditation cushion or blocks. 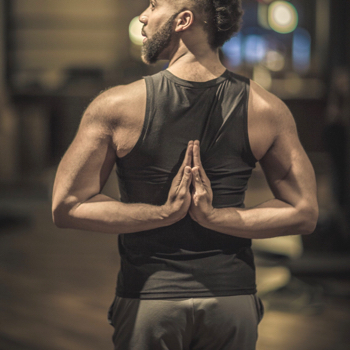 Regardless of your background or baggage, yoga is one of the oldest and most beneficial practices for elevating you from the experience of surviving to that of thriving, and yoga instigators Nick Bez and DJ Omaur Bliss are no strangers to the process. From their travels and teaching they know that it takes more than one-liners and platitudes to pull back the curtain on presence and the power and possibility that come with it, so they have fused their passion for yoga philosophies and vinyasa worthy beats to create a full body and being exploration of elevating oneself. You will be provided an opportunity to explore how you do what you do, how to make stronger that which supports you, and how to short-circuit that which does not. Please note that you may leave this session feeling awesome, smiling at strangers, and looking to hug someone. Dive deep into exploring one of Yoga’s central concepts and one of our hardest things to do: Letting Go. We will look at how to let go on a physical level, using tools like yoga postures, breath work and meditation as well as letting go from a mental/emotional level using the liberating teachings of Vairagya from hatha yoga. We will learn that letting go is not a stand-alone practice but truly a beautiful balance of releasing what creates suffering and moving towards what brings us peace. The goal of this workshop is to provide you with a deeper understanding of detachment so that you can apply these practices in day-to-day life and save yourself from unnecessary worry, pain and suffering. Learning The Art of Letting Go will empower you to navigate in your world with peace and contentment. Trauma and post-traumatic stress lie on a continuum. Everyone experiences it in one form or another. Luckily for most of us, it does not profoundly impact the quality of our lives and rise up to the level of a disorder. This two-hour workshop explores the effect that trauma has on the mind-body relationship and how yoga – and in particular asana – might help to remedy such effects. 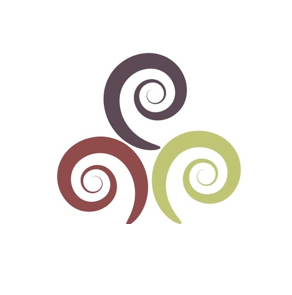 Often trauma survivors experience a sense of mind-body disconnection, a sense of inward receding, a loss of expansion, and a profound loss of grounding, balance, and rhythm. This workshop explores the practical and experiential effects that trauma has on the mind-body relationship and thus how yoga might aid in the process of healing. This session is intended for everyone, not just people wanting to teach people living with PTSD. Lecture and asana. (This workshop is part of the Yoga Therapy Track.) “Our feelings about our body can either liberate us into purposeful action or block us from the privilege of contributing to the world around us.” - Dr. Melody Moore, Founder of Embody Love Movement™ This is a workshop based in the curriculum of Embody Love Movement™ about uncovering our own truth around the ways we are affected by and contribute to a culture and media that values looks over actions and sales over well-being. How often do you hear or see body shaming, stories of “not-enoughness,” criticism, and comparison from your friends, daughters, teachers, the media, or maybe even yourself? If you notice these issues coming up more than you’d like, this is an opportunity to learn where it comes from and how to disrupt these patterns in favor of acceptance, forgiveness, kindness, and love. Embody Love Movement™ is a social profit organization founded in 2011, with a mission is to empower girls and women to celebrate their inner beauty, commit to kindness, and contribute to meaningful change in the world. We accomplish that mission through transformational, experiential programs like this workshop. I am currently the Executive Director of Embody Love Movement, and love sharing this work that has been a game-changer in my own life. I hope you will join me! Live Your Authentic Vibrant Life! Join Ann & Dan Blackburn as they guide you through an exploration of your passions, and life purpose. Use your courage, curiosity, and creativity on this journey to realize your superpowers, become aware of limiting beliefs that get in your way and create new powerful practices for living your Authentic Vibrant Life! You will also get clear about your true priorities in life to find YOUR balance and create a plan with support structures for continued success. Bring a list of 25 things that you would like to experience in your lifetime. (This workshop is part of the Yoga Therapy Track.) Healing is widely thought to be something that happens after going to the doctor and taking a pill or having a test, procedure or surgery. This is based on the belief that “following the doctor’s orders” is the best way to get rid of a cough, control diabetes, or to shrink a tumor. 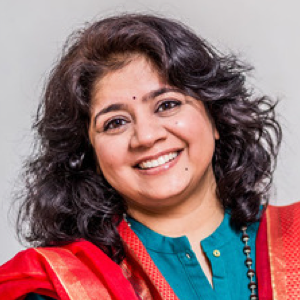 In this compelling and interactive workshop, Dr. Avanti Kumar-Singh shows that "healing is an inside job"... that the medicine we need to heal is already within each of us. Integrating real-life examples with knowledge from her 20+ year journey to train in and experience a variety of healing traditions and modalities, she shares simple, actionable steps to help unleash your innate healing power using Ayurveda. In this workshop, Avanti shows you: How Ayurveda supports vibrant health and the 5 self-healing strategies you can begin to implement immediately. Why it’s important to focus on adding positive habits that encourage health...rather than on eliminating habits that cause illness. How to use your symptoms and the Counter-Balance Solution™ to move toward health. Why you are not what you eat. 5 healing spices you probably already have in your spice “medicine” box and creative ways to use them. More and more, we hear about the role gut health plays in our overall wellbeing. This workshop will include some lecture on the “how” and “why” behind centering a practice around our guts, from immune function, to stress relief, to improved digestion and elimination, to pelvic floor function, to hip and low back health. Woven through this information will be practices you can take home and tailor to your own needs! Designed to ignite the physical body, stimulate the mental realm, and awaken the soul, Faith will guide you through a transformational experience honoring the natural flow of energy based on the Chakras. Chakras are energy centers that serve as pathways to awaken and rebalance the body, mind and soul. When these areas are blocked, we are unable to move and function effortlessly in life. Within the workshop, you will feel rooted, strengthen and nourished through a series of yoga movements, breathing techniques, kyriyas, mudras, mantras, and personal intentions. Feel like you’re stuck in a rut? Would you like to release old patterns that are no longer serving you? Want to find more joy in your life? Our energy body has a system, Triple Warmer (TW), that is responsible for keeping us alive. Since this is its priority, Triple Warmer can steal energy from almost every other energy system in your body causing a pattern of stress. These patterns can show up as disease, pain, autoimmune illness, or other chronic imbalances that just won’t shift because TW has formed this energy habit. Learn to recognize and befriend this system, utilize EMYoga techniques to rebalance the fight or flight hormones, and repattern the stress response in the body. Learn to access and activate the pathways of joy, to move from stressed to blessed! Direct your intentions towards harvesting the fruit of your creative energies. Together we will journey deep into the quantum world of possibilities. Your imagination, dreams and thoughts are a form of creating and planning. Without expansive imagination and dreams, your possibilities can get lost. Experience a connection to yourself as we raise the vibrations, create clear intentions, breath and receive. 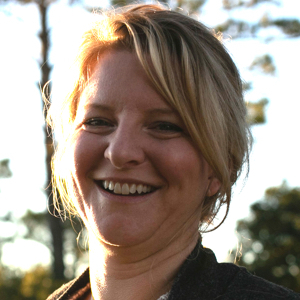 Through a grounded restorative practice, Kristi Taylor will share a guided visualization to brighten your imagination, ignite deep self-inquiry, and create conscious and subconscious journaling. Slow down to receive. This session will be a liberation of energy and accompanied by live Harpist. Experience a restorative practice, breath, guided visualization, inquiry, meditation, journal, mantra and live music. Please bring your yoga mat, journal, pen, 2 blocks, strap. Formally “the metamorphosis getdown” LeoRising loves a deeply sweaty and body empowering asana practice. This will be offered. But, more importantly he loves to remedy seriousness of his mood, mentality with groovy mantras & ecstatic DANCE! LeoRising would like to share some fundamental and accessible AfroBeat dance moves that he fit into a physical yoga practices as experienced in New York City. With every move comes a vibrant history of the technique that infused vital cultural & spiritual bonding. The goal is to die young, as old as you possibly can! As we age, things change in both our bodies and our minds. We have an opportunity, with EMYoga, to support some of the systems in the body that weaken most as we age. It’s not about reversing the clock. We celebrate every stage of life! It’s about supporting and strengthening vulnerable systems so we can maintain our strength, flexibility, suppleness and power; as well as increasing the wisdom of the body and the mind. You’ll leave this class feeling great! (This workshop is part of the Yoga Therapy Track.) This session presents a framework for addiction relapse prevention that includes the cognitive approach of the 12-step program, the trauma healing approach of Somatic Experiencing and the body/mind based approaches offered by yoga therapy and mindfulness practices. Utilizing material from ancient texts, trauma research as well as information and data from modern neuroscience studies, we will explore how combining cognitive and somatic approaches supports changes in brain patterning. This integrated framework, presents a holistic addiction relapse prevention model that supports compassionate awareness, deep-rooted change and healing. Is life too busy? Is there no time for self-care? Waiting for that vacation so you can finally relax? ‘The Art of Making Time’ is designed to support you to make the transition from looking at life as an outer struggle of obligations, responsibilities and ‘racing the clock’ to greeting each day with gratitude and embracing life and all that comes your way. We will look at the ways we are validated to stay busy (and exhausted) and examine how our own/societal expectations & obligations keep us living in a constant state of catch up mode. This workshop goes to the depth of understanding Kama (binding desires) and how these desires (consciously or unconsciously) drive our behaviours. It will allow you to reflect upon the pillars in which you want to build your life around, bringing you more space, time and purpose in your life. Includes: asana, pranayama, meditation, soul prompting questions for journaling and group discussion. Ready to expand, grow and shine more brilliantly in a sustainable way? Tantra is an ancient worldview that supports experiencing life as a gift and seeing the Divine in everything. In this workshop, we explore questions such as: What is Tantra, and how is it different from Yoga? Why is Tantra so important in the 21st century? What does the role of sensuality and desire play in Tantra? How does Tantra complement Yoga, Ayurveda, and other forms of healing? Whether you are new to yoga or a seasoned practitioner, Tantric Yoga helps invest in your personal practice and accelerate your process to Self Mastery. Tantra also offers the perfect balance between intellectual and experiential learning, and aims to empower us to put our knowledge to work in the world around us - both on the mat and off. Come help learn the tools to help you grow brighter and be a source of light in the world! Come prepared for discussion then experiential practice. All levels welcome! Have you ever tried to do a self practice but your dog, kids, partner, lint under the couch have you distracted? You aren't alone. In this workshop, we will dive deep into shedding the road blocks to self practice. You will be given all the tools you need to start or grow a yoga practice at home, on the road, anywhere or anytime. Beginning or strengthening a self practice of yoga can be a great way to maintain and deepen your yoga practice while creating a self care routine. It can be whatever you want or need it to be, it can begin and end any time, it can be a length of your choice, it can support your mood, tune you into your physical needs and be a life long tool to connect you to you. Mindful approaches to create, anatomically safe, smart and accessible mini or full classes that support just where you are an ultimate goal for this workshop. Please bring a journal or notebook and be ready to move. (This workshop is part of the Yoga Therapy Track.) Learn about the 4 stages of Yoga Nidra and the role of Shavasana in gaining deeper understanding and enriching Yoga Nidra. Soak the benefits of giving your body and mind a 45 minutes Shavasana to ensure systematic, deep, precise and progressive state of relaxation and rejuvenation. Shavasana literally means the corpse position. The purpose of this position is to allow for deep rest, healing and rejuvenation of body and mind. It is not just a 5-minute relaxation. It is a precise, conscious and step-by-step approach that prepares the body and mind for higher states of awareness and Yoga Nidra as such. Bring an unscented eye pillow, prayer shawl (or blanket to cover the body), avoid wearing any strong perfumes or essential oils. Using the Maps and Models of Yoga to Enhance your Services.Yoga is so much more than Asana and being able to translate and use all of the many gifts of this tradition can greatly enhance your abilities and service as a yoga teacher or yoga therapist. Learn to use the Pancha Maya Kosha Model, 6 Pillars of Yoga and the Ashtanga Eight Fold Path in your teaching and private sessions. Compassion is the heart of sustainable service. Literally translated ‘suffering with’, compassion goes beyond feeling another’s suffering to actively mitigating it. Codependence has been defined as ‘the dis-ease of the lost self’. It becomes problematic when we consciously or subconsciously seek something outside as a way to sidestep looking inside. The line between the two can be fuzzy and confusing. When service or activism comes from codependence it becomes what Buddhist teacher Chogyam Trungpa calls ‘Idiot Compassion’ or compassion with neurosis. Even though good intentions may be at its core, compassion steeped in codependence becomes unskillful and ultimately damaging.True compassion balances concern and wisdom.When we find ourselves trying to fix another person or needing to help for our own sense of identity – it’s codependence not compassion. Buddhist teacher Jack Kornfield stresses that true compassion only comes through deep self-acceptance. This session explores codependence, compassion and self-acceptance. Hang on to the lessons learned and inspiration from the weekend, leave behind the things you intend to let go of, and join Kristi Taylor at the closing ceremony to seal the weekend. 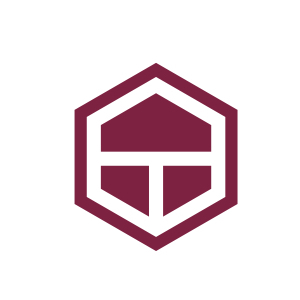 As of late 2017, IAYT has over 5,600 individual members from over 50 countries, and over 185 member schools. There are also 28 IAYT accredited yoga therapy training programs, with over 21 under review. Choose the pass that’s best for you! You'll be the first to know about any conference announcements.